Every now and then I will be doing one of these special ‘bulletin reports’ about new news in horror, mainly for things which are not fully confirmed yet but will still wet your lips in anticipation hoping that the ideas will come to life. I will still be doing longer news pieces, but just on confirmed news. 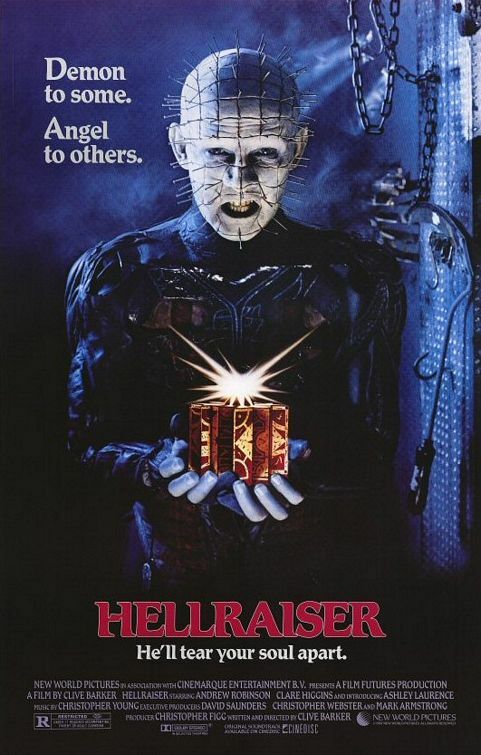 First things first, every horror fan must have seen the incredible slasher flick ‘Hellraiser’ from 1987, starring the lovely Doug Bradley as ‘Pin-Head’, the pin-headed, white-faced Cenobite Who returns from hell followed by a few other demons. Well over the years we have been treated to numerous sequels; 8 to be exact. Some great, and some not so great. Now there is some very exciting news, Clive Barker – the fellow who directed the original film – has claimed that he is on to direct the reboot, not only that but Doug Bradley is returning as Pinhead to terrify audiences once again. The film should hopefully do the original justice and we should see the same amazing make-up effects which we saw in 1987, as Barker has stated that he would much rather use practical effects than CGI. Thank god. Another great franchise, another great bit of news. ‘Evil Dead’, one of my favourite ‘video nasties’, has had some great sequels through the years, as it changed in to comedic horror with ‘Evil Dead 2’ in 1987 and ‘Army of Darkness’ in 1992. 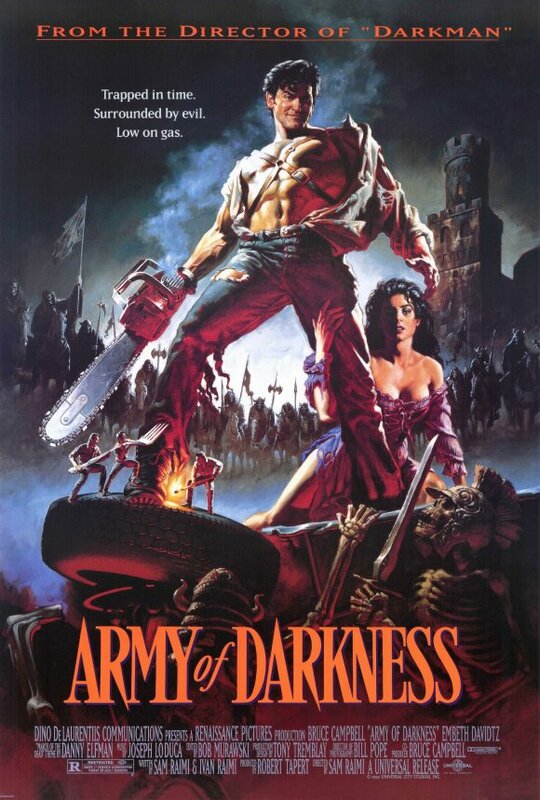 The 2013 remake by Fede Alverez was also an amazing effort, and because of this talks about a sequel to ‘Army of Darkness’ has been thrown in to the mix. With Sam Raimi – who directed the original trilogy – back in the director’s chair. I heard a rumour a while back that they may also be pursuing ‘Evil Dead’ sequels carrying on from the reboot, and are trying to make the two films intertwine. Can you imagine it, Bruce Campbell and Jane Levy fighting off the deadites together. At the moment it is only a dream, but one which will hopefully come true. Now the piece de resistance, although I did really enjoy the 2004 film ‘Van Helsing’, it does appear time for a reboot, which is exactly what is happening. Tom Cruise is rumoured at the moment to be starring, and Rupert Sanders (Snow white and the Hunstman) is on to direct. That is not the best part though, due to the recent success of the Marvel Cinematic Universe, Universal are on the fence about deciding whether to do a Monster Cinematic Universe, let’s hope they do. 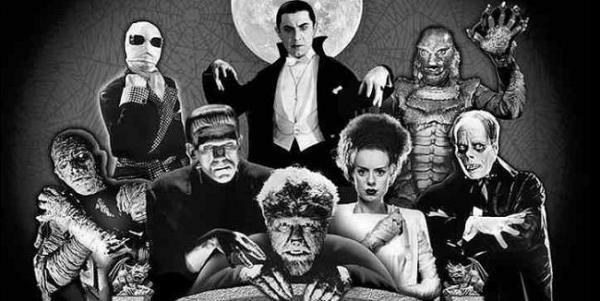 Can you imagine it Dracula, Frankenstein’s Monster, Bride of Frankenstein, The invisible Man, The Mummy, The Wolfman, The Creature From the Black Lagoon, Phantom of the Opera and Van Helsing all in one film together. I know that these types of films happened thanks to ‘Hammer Horror’ back in the 50s, 60s and 70s, but imagine them being re-imagined today, and all with their own film to proceed it. Even though The Wolfman and The Mummy were re-created quite recently, they should really be rebooted in order to link in with this new set of films, if they ever happen.